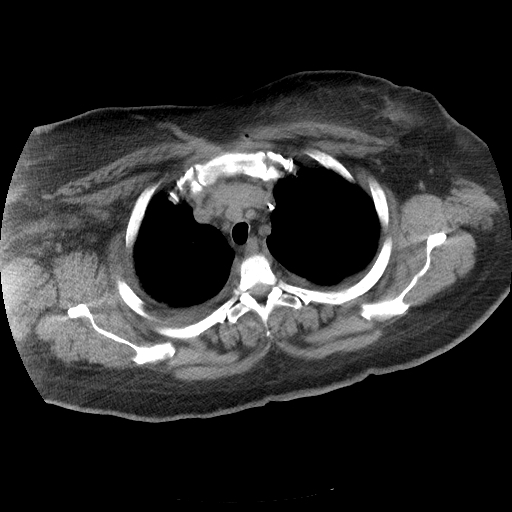 Last post was concerning an uncommon central line complication with the line passing into the mediastinum through the inferior brachiocephalic vein. One astute observer asked for more information about the case, see the comments posted (very interesting fluoro experience with this type of complication). Here are some further images of the traversing the mediastinum very close to the aorta and the tip ends up near a pleural effusion on that side. 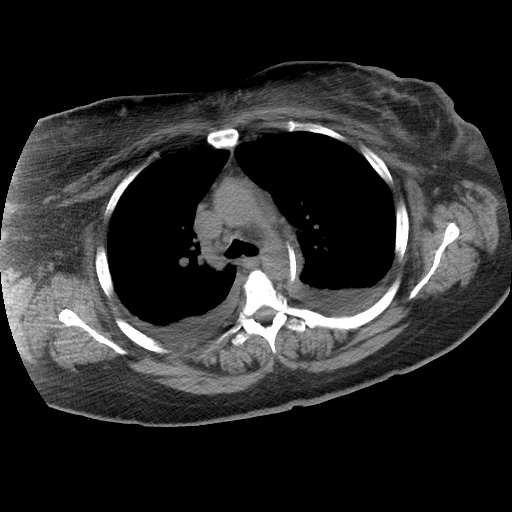 Interestingly this patient had a vascular surgery consult. The line actually passed through the IJ near the line insertion, tracked down the neck near the IJ and brachiocephalic, and into the mediastinum. The pleural effusion was from another process. Fortunately the line was removed and no further problems were encountered. Unfortunately this was another team that placed the line so I don’t have information on the actual difficulty in placing the line, confirmation of venous flow once placed, etc.